A Twitter campaign to boost the image of the New York Police Department (NYPD) has provoked a less than complimentary response from the Twitterati, after instances of police officers in compromising positions lit up the social platform. It’s our 5th Birthday this month. That’s right, we’re five years old. Has it been that long? My how we’ve grown! Anyhow, enough of the soppy parent twaddle, it’s giveaway time. To commemorate this momentous occasion of reaching five years and, in complete contradiction to what should happen at birthdays, we’re giving stuff away. We’ve shared our birthday cake photos below and, to be in with a chance of winning some M&S vouchers you can spend on yourself, we want to see your birthday photos – they can be of anything birthday related, but we do love cake. 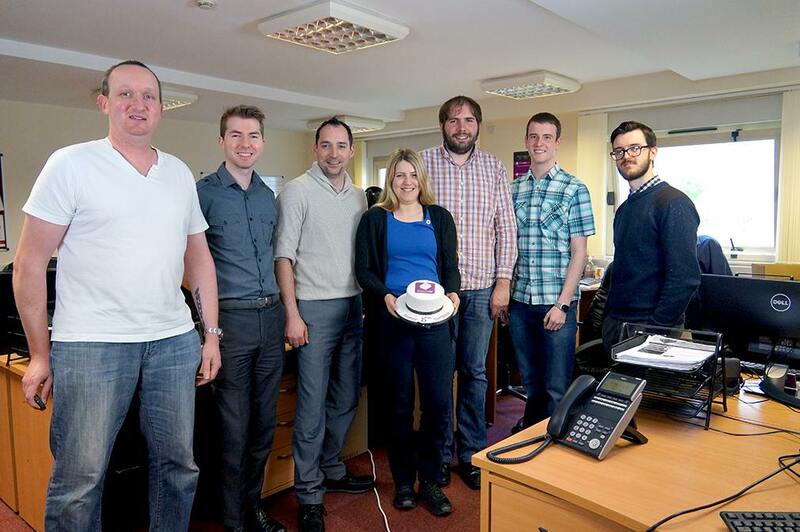 So, Tweet us your birthday photos @EngageWeb, or reply to the below Tweet with your birthday photos. You can also send your birthday photos to us via Facebook by commenting in our Birthday Bash Competition post. Remember, that’s ‘Birthday‘ or ‘Birthday Cake‘ photos, no ‘Birthday Suit‘ photos. We don’t want to see those! You have until Midnight on May 8th to send us your best pic. After that well have an independent expert (basically, someone who has experienced a LOT of birthdays) judge the best photo and select a winner. 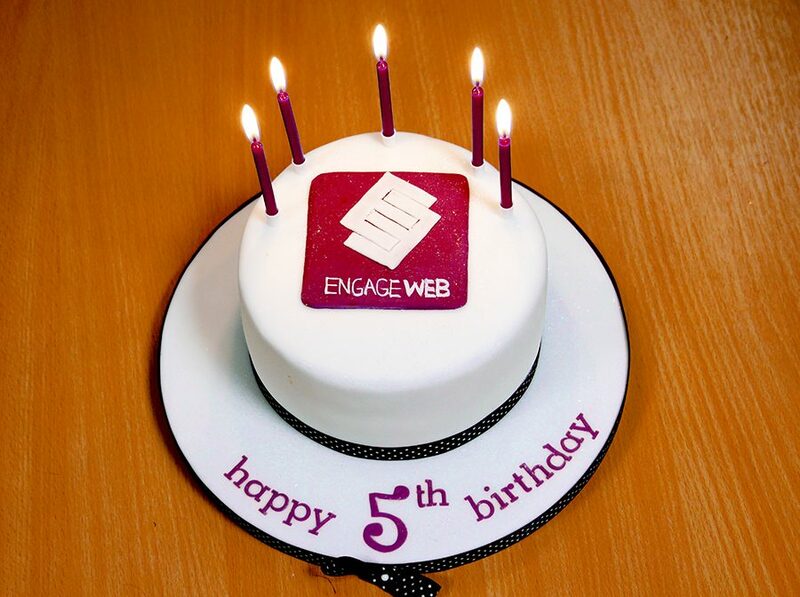 So come on, help us celebrate our 5th birthday and show us how you celebrate yours… with cake. #WIN £25 in M&S vouchers in our 5th birthday #competition. Tweet us your birthday pics to enter http://t.co/i6DlTOFxxp please ReTweet! To receive our monthly newsletter, which includes competitions, enter your email address below and click ‘Subscribe’. Under 16s need parental/guardian’s consent. This promotion is open to residents of the UK, Channel Islands, Isle of Man and the Republic of Ireland, excluding employees and their immediate families of Sheer Media Ltd, their agents and anyone professionally associated with them. Winners will be selected by an independent judge within 14 days of the closing date. The winner will be announced on the Engage Web Twitter and they will be required to provide their details via DM on Twitter to receive their prize. Prize receivers will be required to take part in publicity. The winners’ name and county may be published on the Engage Web website, Twitter and Facebook Page. Promoter: Engage Web, Stanlaw Abbey Business Centre, Dover Drive, Ellesmere Port, Cheshire, CH65 9BF. Google Hangouts will be releasing an update to its app that will merge certain features, allowing users to view SMS and instant messages in one easy to view window.